Enigmatic Canadian performer Lewis has been a source of obsession all year thanks to a recent reissue of his stellar 1983 LP L'Amour. 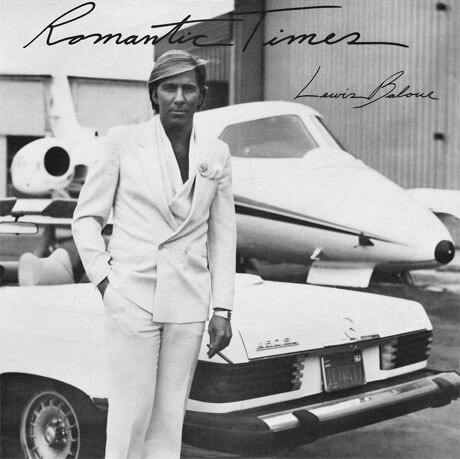 Earlier this week, his sophomore effort Romantic Times hit eBay. If you're worried that you're going to be outbid (protip: you are), fret not, as Light in the Attic has now announced a reissue of the second LP. The eight-track effort is available digitally as of today (July 24), with the CD set to arrive on August 26 and a vinyl version coming on November 18. The Romantic Times reissue was remastered from a sealed vinyl copy of the LP that was discovered by Vancouver collector and DJ Kevin "Sipreano" Howes. A press release explains that the album was recorded in Calgary at Thunder Road Studios. Engineer Dan Lowe tells the label that he remembers very little from the session other than the fact that Lewis was "under the influence." For this LP, Lewis opted to go by the name Lewis Baloue. A press release promises it's the same old Lewis, however, writing, "The name may be slightly different, but this is absolutely our man: a familiar blond posing on the sleeve, a familiar, tortured voice pouring his heart out over languid synths and synthetic waltz beats." To pre-order the album or listen to 30-second snippets from each song, go here. UPDATE: For those thinking this is all a hoax, please see our update, as Lewis has been found.